Property Uncovered is an invaluable road map to help you navigate through the complex world of finding, buying, selling, renting, letting and owning a home. 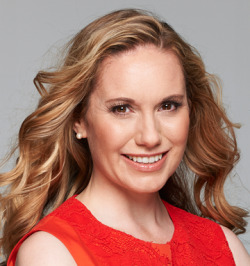 Fighting your corner, property expert Louisa Fletcher reveals how to save money, make money and - most importantly - protect yourself. Filled with insider's advice you can't get anywhere else, and frequently hard-hitting and hilarious, Property Uncovered is your no-nonsense guide to property. It's incredibly comprehensive and packed with practical guidance on everything from finding stress-free flat shares to dealing with estate agents, letting agents and solicitors. Louisa also talks you through adding value to your home and provides top tips to help keep you sane when moving house. In addition, she reveals what you need to know about your property rights if splitting up with a partner, how to negotiate the mortgage maze in the light of recent legislation changes, ways to successfully deal with the most common causes of neighbour disputes, and much more besides. With this entertaining, down-to-earth and practical guide, Louisa provides probably the best introduction to property you'll find on the shelves. Louisa is a property journalist and expert, with over 15 years' experience in the property industry, including renovations and redevelopment. She bought her first house at 19 and has renovated 6 homes in the last 8 years, alongside her property consultancy career. Louisa has advises a range of celebrities and key public figures, as well as private clients, on their property portfolios, along with providing some of the largest organisations in the property industry with specialist econometric and technical expertise. Louisa has done everything from knocking down walls, installing bathrooms and kitchens, to home-finding and interior design. She is also an expert on the technical aspects of the property industry, such as Home Information Packs and legislation surrounding estate agents, along with the economics surrounding property prices and values. It's this in-depth range of expertise across the property spectrum that sets her apart from other property presenters. Her passion for homes and property is now called upon during her weekly live slot on ITV's "London Tonight", together with frequent appearances on GMTV. Her weekly column 'Rated Property' for the News of the World has received critical acclaim for its consumer-friendly content, whilst her comment and research on property and the UK housing market are also regularly featured in the national press and on the radio.